for Outstanding Revival of a Broadway or Off-Broadway Musical! From the company that brought you the acclaimed revivals of Marry Me a Little, John and Jen, and Tick, Tick…BOOM! comes Adam Gwon’s Ordinary Days! 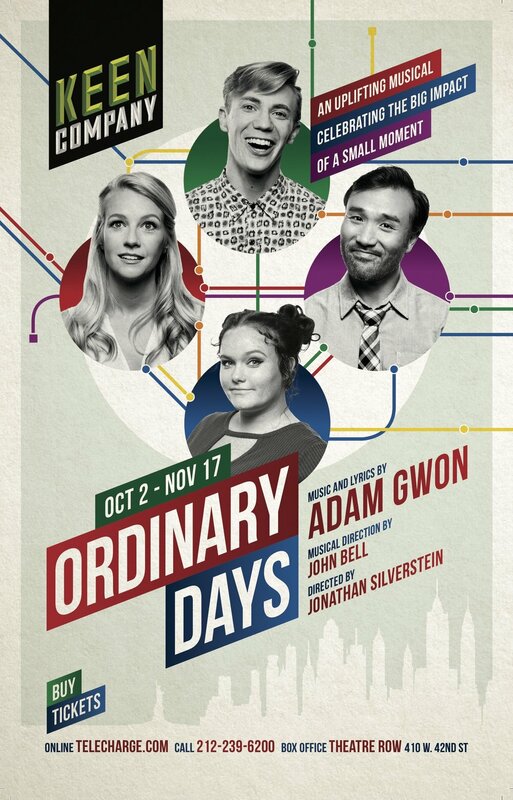 Ordinary Days is a refreshingly humorous and inspiring musical about making simple connections in a chaotic city. 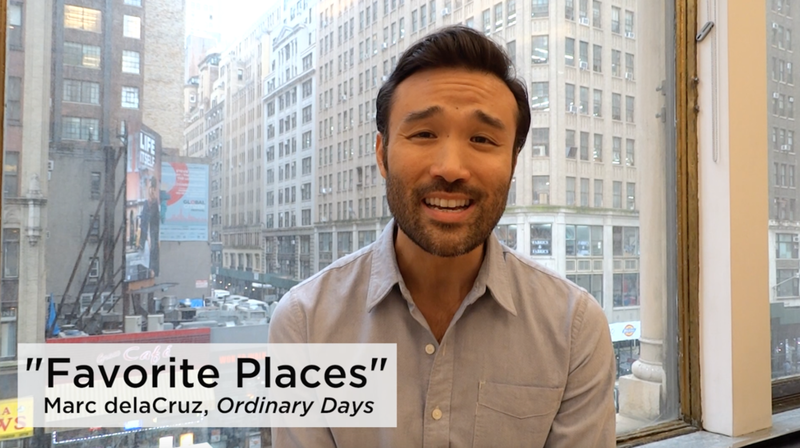 Written by one of musical theater's most exciting new composers, Ordinary Days tells the story of four young New Yorkers whose lives intersect in unexpected ways as they search for success, happiness, love, and taxis. Additional matinees on Weds 11/7 and 11/14 at 2pm. Flip through production photos of the show, photo credit Carol Rosegg. Click below to enjoy rehearsal footage of the cast singing excerpts from Ordinary Days, music and lyrics by Adam Gwon. contact Ashley DiGiorgi for more info. TALKBACK: Meet the Cast and Creatives! A discussion with original Associate Producer Jill Rafson, Roundabout Artistic Director Todd Haimes, and composer Adam Gwon.